AminoPlus can be applied through spray or dripper systems or as a foliar spray. It should be diluted with water before application. 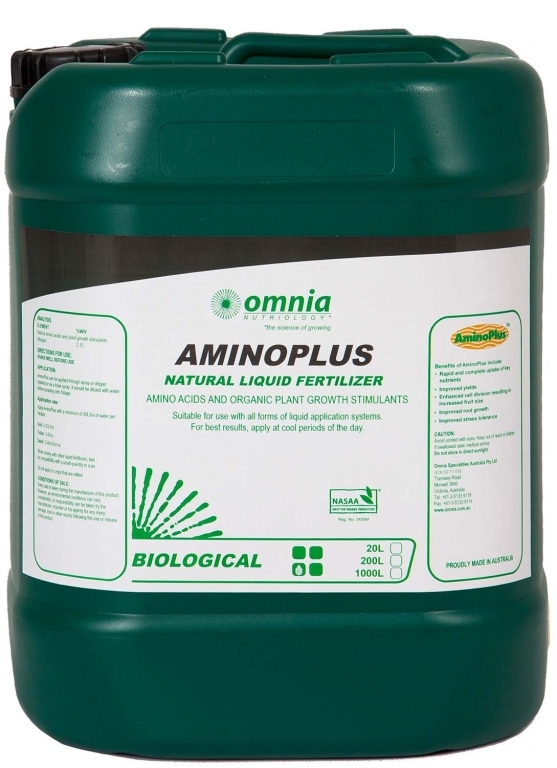 Aminoplus is a NASAA-Certified organic product of choice.